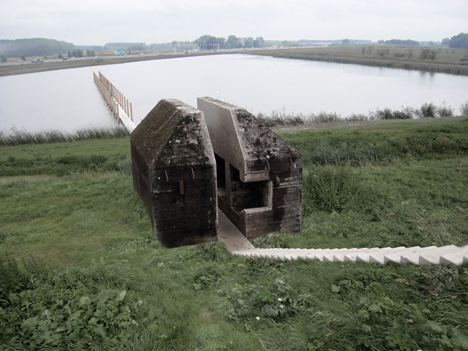 RAAAF and Atelier de Lyon spent 40 days slicing through a left-over WWII bunker, reconnecting the inside to the surroundings. Although I'd have liked a bit more information on the machinery, the video is quite interesting. This page contains a single entry by Aaron Macks published on February 1, 2015 9:16 PM. High Above a Dark NYC was the previous entry in this blog. Gianmaria Buccellati has Died is the next entry in this blog.